If you choose to volunteer on occupational therapy, you join the therapists offorts to help children with special needs to participate in everyday activities. The occupational therapy can even help the disabled children and adolescents to function independently. With your volunteer work, you can help the children developing their skills by using self-care, work and play activities. 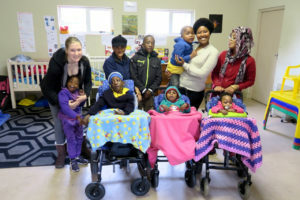 The disabled children of the Special Care Centre are all desperately in need of this kind of care, so if you’re thinking of going into this rewarding, caring profession, or are already training for it, an internship at the centre is perfect for you. You’ll get hands-on, practical experience and have a special, meaningful impact on these kids’ lives. Bring your skills, your love and your biggest smile, you’re going to have the best internship experience in one of the most beautiful countries in the world. Spending time with children who are so appreciative of the effort you put in. Seeing the children develop and respond to your input. Making a difference in a very underprivileged community. Learning the therapeutic benefits of hippotherapy. Gaining hands-on, practical experience in an area of special needs. Working alongside people who are passionate about the field of special needs and occupational therapy. Spending your spare time enjoying the attractions of Cape Town and South Africa. The Special Care Centre look after 34 children with a wide range of disabilities – either physical, intellectual or a combination of both. It is a day care centre where all the children’s emotional, therapeutic and developmental needs are met through a multi-disciplinary approach. The care centre’s focus is on assisting the children in becoming as independent as they possibly can and, if at all possible, integrating them into a mainstream school environment. The occupational therapist spends four days per week at the centre. She is highly experienced in the field of special needs children and does amazing work with them. She acts as a mentor to Volunteer and Explore interns and will guide and assist you as you go through the programme. You’ll learn all about working with children with special needs, participate in their daily activities and help with group work and individual therapy. Every Thursday afternoon, 12 of the centre’s children visit a Horse Riding School for hippotherapy, provided by the South African Riding for the Disabled (SARDA). It is a huge highlight for the children, an incredibly important part of their therapy and benefits all aspects of their mental, physical and social lives. You’ll go along to assist with the children during their hippotherapy and learn about its methods and benefits. Please be aware that these children have been dealt a rough deal in life. They have severe and profound special needs and come from a very impoverished area. Your assistance is absolutely essential to them – but you will need to be passionate about and dedicated to helping them. Tuesday: say hi to the kids! This morning you’ll be off to the project and our team will be on hand to make sure you know where you’re going and get you settled. You’ll meet the dedicated staff and the children they look after. It’s going to be a happy introduction as the kids are always super excited to have someone fresh and new in their lives. You’ll start getting to know the kids, bonding with them, learning more about their disabilities and how you can help. They’ll learn so much from you, simply through play and general conversation – and your trainer will ensure that you learn as much as you can from your time with us. If you have any ideas you’d like to contribute, like learning games or fun ways to approach problems and activities, speak up! Your contribution will always be appreciated. Horse Riding School. The South African Riding for the Disabled (SARDA) is providing this fantastic program. It’s both a lot of fun for the children, and a great learing opportunity for you, too. Enjoy your weekend after a week of hard work! Spend your free time as you please. Cape Town offers so much to do. There are loads of stunning beaches to choose from, where you can get a tan and relax. 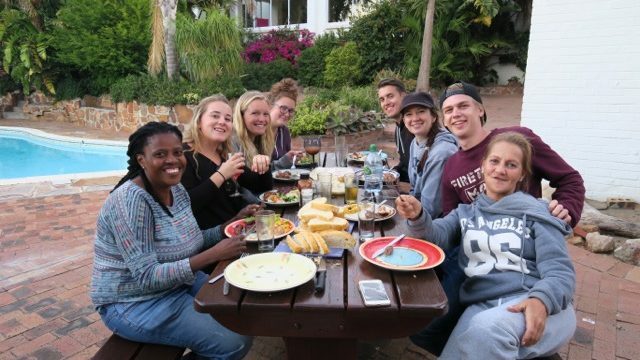 Or you could visit the city, climb Table Mountain, check out a penguin colony, go wine tasting or pop in to the many fascinating museums and art galleries. 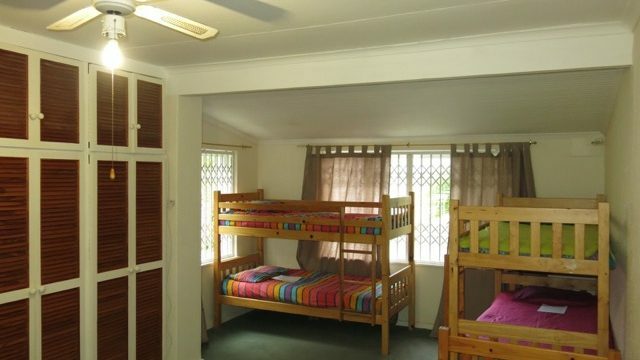 Alternatively, you could just chill at the volunteer house in the garden or around the swimming pool. More weeks to follow – keep up the good work! Your weekdays will be spent at the centre and you’ll get to know the routine and the children. You’ll start to see their progression and how much your help can have an influence. You’ll learn more about the community and may even get involved in community activities. It is likely to become a place that’s very dear to your heart. Last Monday: Say goodbye, we’ll miss you! It will be sad to say goodbye to your newfound friends and the children at the centre but you’ll have so many special memories and so much experience to add to your future career. 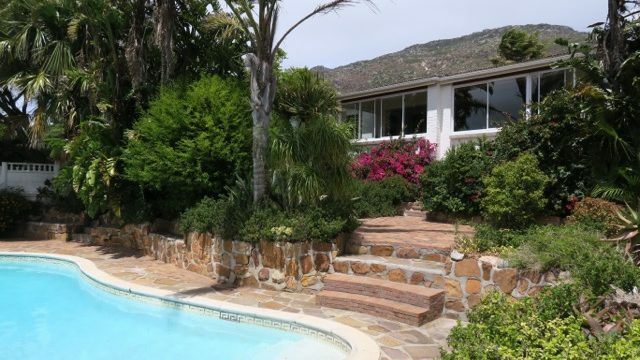 The return transfer from Fish Hoek to Cape Town International is not covered within your project fee but our regular transfer company will be able to organise the journey. Budget around £25/R400. The Special Care Centre runs a daily programme that is adapted to each classroom’s needs and age-appropriate activities. These activities generally include the morning ring, creative stimulation programmes, free play, outside play and therapy time (occupational therapy). The children also receive a daily cooked meal from the Centre and most of them need some assistance at meal time. 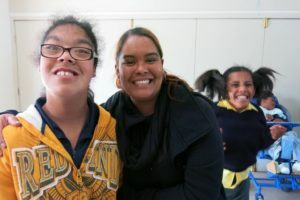 Following the guidelines of the programme mentor, interns will be able to assist with all aspects of the daily programme, contributing to the children’s emotional, physical and mental development by helping them to take part in activities and offering them much-needed encouragement and love which improves their confidence. You will also be involved in community assistance, following the guidelines of your mentor. Counselling – Occupational therapy interns will not be expected to do this. Work hours are usually from 9am to 1pm, Monday to Friday. You’ll need to wear comfortable clothes and flat shoes, suitable for working with children on the floor or on a climbing gym. The centre for children with special needs focuses on helping children with a wide range of disabilities, including Autism, Fetal Alcohol Syndrome, Down Syndrome and Cerebral Palsy, to name but a few. Since the day care centre aims to treat the children holistically, from various disciplines work on the premises. The team includes an occupational therapist, a social auxiliary worker and child care workers, in order to make the children feel good and develop theirs skills. Moreover, they focus on assisting the children to become as independent as they possibly can. In 2013 they were even able to reintegrate three children into the mainstream environment. 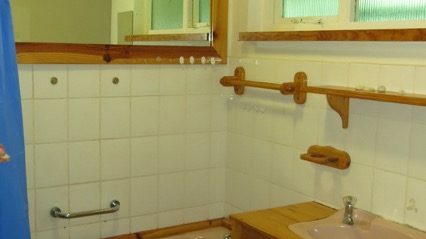 However, those children who are severely and profoundly disabled are kept as comfortable as possible with daily stimulation programmes offered by carers and an occupational therapist. 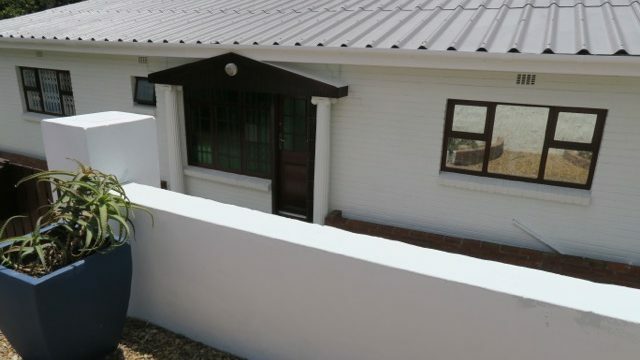 The Association is a non-profit and public benefit organisation with Section 18A status that Operates in the Simon’s Town Magisterial District of the City of Cape Town, South Western Cape Region in Southern Africa. The Association’s focus is on improving life for children and families who face the adversities of living with a family member with special needs. Would you like to learn more about child development programs abroad? 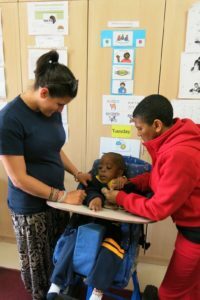 Read about teaching assistance at a primary school in Cape Town, caring for children at Doreen’s Crèche in Masimumphele. In Argentina, find out about child development in Buenos Aires. 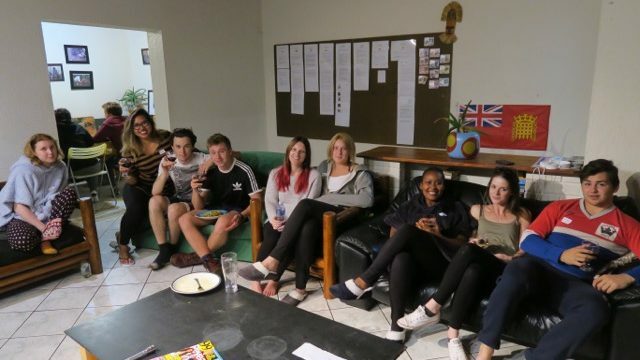 Accommodation: Intern house, Kommetjie Road, Fish Hoek. This is also where your orientation will take place. Getting to the project: Interns catch a mini bus taxi between the intern house and the project. The taxis stop outside intern house and transport them straight to Masiphumelele Township. Cost R7 each way. Return transfer: This is for your own cost. However, the in-country team can assist with booking final transport. Budget on approximately R400. Please note: work experience in the field of special needs is beneficial but not essential. 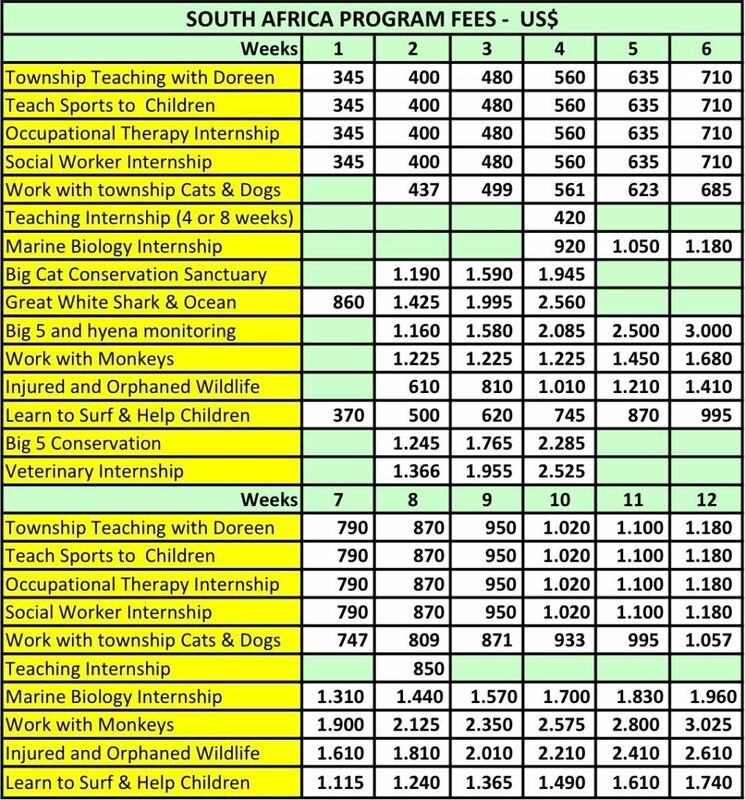 Find out about all the programs for wildlife volunteering in South Africa here. In Cape Town, you can find many more educational volunteer projects. You can choose, whether you want to teach small children at Doreen’s Crèche, or work with teenies as an assistant teacher at a public school.